Guys always come into La Bijouterie with one noble goal: they want to make their girlfriends sublimely happy with an engagement ring from the heart. 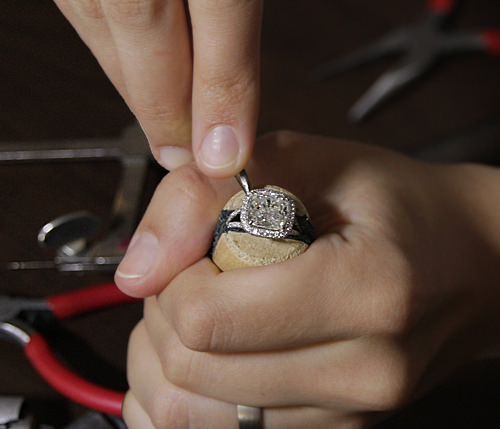 When you’re creating the ring she’ll wear for life, you want to be sure you get it right. 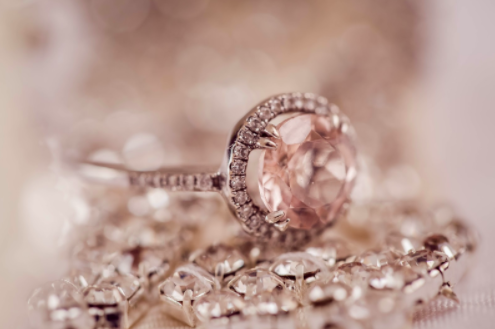 After intimately working with our Bay Area clients for nearly five years, we’ve found that there are a handful of tried and true ways to buy the perfect engagement ring for the woman you love. To help guys out, we’ve created this straightforward guide to help gentlemen decide on the best approach for selecting an engagement ring. Here are 7 ways to choose her dream engagement ring. 1. Design the ring together. Despite the bevy of romantic comedies that suggest otherwise, about 90 percent of couples design the engagement ring together. Most girls have an idea of what they want. In fact, they secretly come into our store every day, doing reconnaissance without their boyfriends. It's a straightforward approach: you can decide on the ring style, diamond shape and size together. Then we’ll procure about 5 different diamonds for you to choose from. We design the setting based on your preferences and ideas. 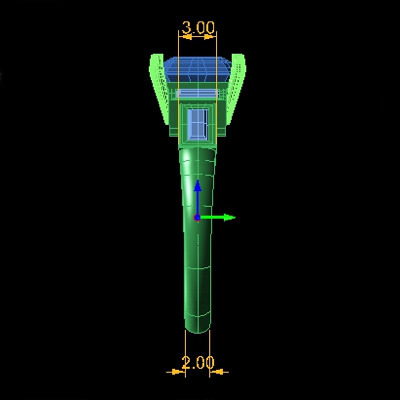 We create a 3D model for you to review and approve before the final design is created. Once the ring is complete, we can inform you privately (excluding her) and you can come pick it up, then you can present it to her when she least expects it. Pros: When you design the ring side by side with her, she can specify exactly what she wants. Couples seem to really love this option because the guy can rest assured that he’s error-free. This is a good option for you if your girlfriend is very particular. Think of it this way - does she wake up saying “I’m hungry” or does she say specify “I want crab benedict for brunch”? Another way to gage her thoughts on this is to ask her what she thinks of her friends' rings. If she has lots of opinions on their rings, that means she may enjoy some level of input in picking her own engagement ring. Many girls find it really fun to pick out their own diamond. It makes women feel like queens. And it's really fun to geek out together as you watch the ring go from a 3D image to a real timeless piece of jewelry. Cons: Some of the surprise element is gone, of course. Unless you plan a killer surprise proposal. 2. Learn what she wants by bringing her into the store to get an idea. This option is a pretty James Bond status. It works pretty simply. First, let us know that you're coming in with her on a certain day. Next, you and your girlfriend come in “just to browse around.” We’ll pretend like we are meeting you for the first time. As you and your girlfriend browse, we’ll take serious note of her preferences and engage her in some questions to figure out what she wants. We'll also note down her ring size. On your end, you can be as secretive as you want; you can drop the subject for a few weeks or pretend like you want to keep shopping around. All the while, we'll be custom making the ring of her dreams. Pros: This is a really popular option. It allows you to really surprise her, but still give her what she wants. It's also faster than designing the ring together because you turn over some of the design work to us since we’ve noted her preferences and she need not worry about each step of the process. Here's an example of a customer who really had fun with this process. Cons: This is just a little less precise than designing the ring together. 3. Propose to her with a diamond in a silver setting, then design the final setting together. Most girls already have an ideal shape in mind. Ask her casually to see if she has some ideas. You can buy the diamond before creating the ideal setting and propose with her perfect diamond in a simple silver setting. Then come back in together and create the setting together. Pros: You’ll completely surprise her. She won’t have any idea it’s coming. Then after she’s had the joy of the surprise, she gets to take pleasure in designing the setting with you! Cons: You’ll have to choose a diamond without her. You might pick a diamond shape that doesn’t suit her hand or that she doesn’t like as much as another. There are 10 different diamond shapes, and various diamond colors (many brides want a yellow diamond or blue sapphire), so be careful. 4. Ask her best friends or her siblings what she wants. You may want to ask her best friends to help you shop for the ring. Or ask them to go ring shopping together without you and take photos of the rings she likes, then share them secretly with you. Pros: If she’s told them about what she wants, her friends or siblings will be able to help you pick the perfect ring. Just make sure that you can really trust them to keep a secret and to find out her ring size. Cons: They may be overly confident in their knowledge of what she wants. Also, there is a danger that they’ll accidentally ruin the surprise. 5. Ask her mom what your girlfriend wants. This gets her mom's opinion and lets you ask for her hand in marriage - two birds with one stone. A good way to go is to have a secret lunch or dinner with her family and get all of your questions answered. This needs to be executed with caution, but if you can be sure not to be caught, it can be very beneficial to your ring search. Pros: It will be a bonding experience that will bring you closer to her family. In some cases, moms may know exactly what their daughters want, but be sure that her opinion is solid and was formed while ring shopping, not from guessing. Also, if her mom loves jewelry and knows a lot about the process of buying a diamond, she can be a great help in choosing the ring and stone. Cons: Moms have a tough time keeping it a secret because they get really excited and can’t keep a poker face. She might think she knows what her daughter wants, but since styles change every decade, she might be very wrong. In most cases, moms aren’t necessarily the best sources. We’ve heard stories where moms started asking their daughters about their ring preferences and ruined the surprise because the daughters caught onto the loving espionage. Another issue to watch out for is that even if her mom knows what her daughter wants, she can be shy to tell you the truth. For example, some women really care about stone size. And your future mother-in-law might not feel comfortable telling you that her daughter really wants a 2-carat ring. 6. Try to find her secret Pinterest board and figure out what she wants from that! See if you can simply snoop on her Pinterest board by logging into Pinterest and selecting the "find friends" option. Don't friend her of course, unless you use Pinterest already. But snoop through her Pinterest boards to see if you can find some ring styles she's already pinned. 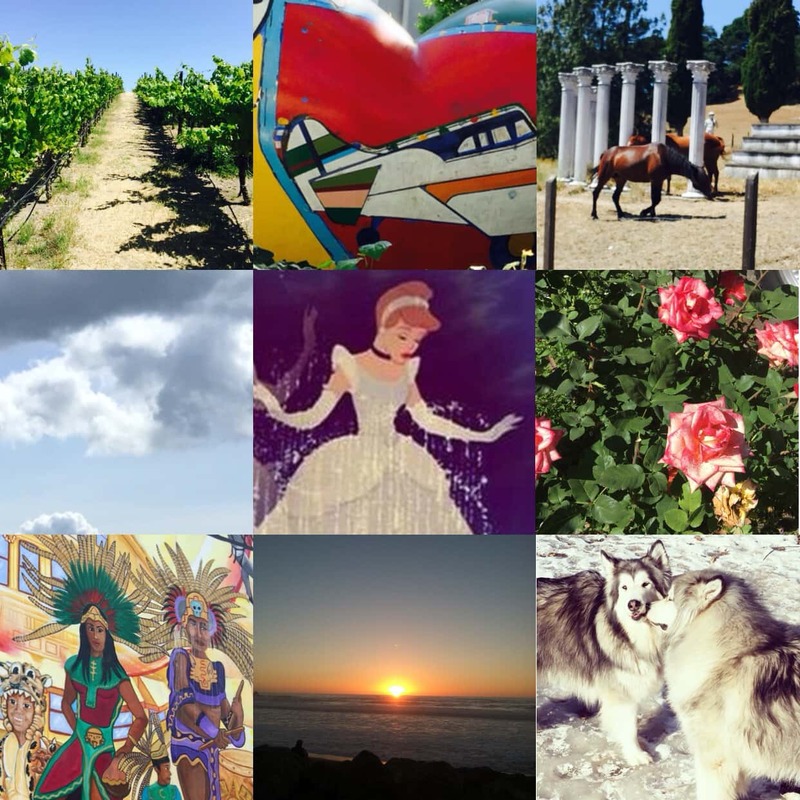 Pros: Her Pinterest board will give you an unfiltered, honest sampling of what she wants. This is a modern day hope chest, where she’s secretly stashed her design ideas and wishes. You’ll get an honest idea of her imagination. This only works if she specifically pinned engagement rings, and if they’re all pretty similar. Cons: She may have pinned a dozen things that she sorta likes - meaning she liked only certain elements of 20 different rings. That will leave you a bit confused and may leave you stuck with a crazy concoction. The board should be engagement ring-based, ignore cocktail rings and fashion jewelry boards. 7. Create your own ring for her. We've also had many customers who've come in and purchased from our design selections, as well as those who've designed from scratch. One gentleman even came in with a mood board of all of her favorite things. He created a beautiful, one of a kind ring just for her that incorporated waves and a lotus flower. Pros: This will allow you to completely surprise her. You can make it as simple or intricate as you like. You can even bring in a mood board or collage of all of the things she loves in order to create a ring just for her. Cons: It’s of course a bit risky, since you’ll be creating a custom design without her input. If you choose this option, be sure you really know what her jewelry tastes are. Here at La Bijouterie, we are just as much a sucker for a romantic proposal as the next person, but every once in a great while, a story so romantic and so sweet comes along, it needs to be shared with the world. Insert Jessica and Mark. It was 2014, and at that time they had been dating for about 5 years. Both were ready to go from girlfriend and boyfriend to engagement. Jessica had seen a cute little jewelry store on Union Street in the Marina, and decided to do some research to see if this place was worth a visit. She read the Yelp reviews and was very pleased with what she saw. She then told Mark that they should make an appointment to get things moving. To her delight Mark agreed and before they knew it they were looking at rings and meeting Set the jeweler. They looked at a few different ring styles but there was one in particular that Jessica fell in love with. Just a minute after trying on this perfect ring, Mark cut their visit short, thanked Set for his time, and mentioned he wanted to do some additional research. Jessica was disappointed that the shopping trip was over so soon, but she simply brushed it off. A few weeks later, and no talk of an engagement ring, Jessica was getting ready to go on a trip to Paris with her mom. Mark would be staying in Boston with Jessica's dad. After a couple days in Paris, Jessica and her mom took a boat tour down the Seine river to enjoy the different sites. Half way through the boat trip, and to Jessica’s surprise, she looked down at her phone and was receiving a call from Mark. Her immediate thought was, "Why would Mark be calling me when he knows I'm on this boat trip with my mom? Could something be wrong with my dad?!" Stunned and convinced her Dad put Mark up to this, she said, “Are you joking? You're proposing to me over the phone?” when her mom yelped, "JESSICA, TURN AROUND!" There, at the top of the boat was Mark down on one knee. He secretly flown to Paris and had been hiding in the bathroom on the boat the whole time as to not be seen by Jessica or her mom. People on the boat needing to use the restroom actually thought he was a stowaway until he slipped his ticket under the door with the excuse that he was having stomach problems and needed to stay in the restroom. He then confessed his love for Jessica, and everyone on the boat applauded and began taking pictures! As he went to put the ring on her finger, she noticed it was nothing like the ring they had looked at but she didn’t care. The only problem was the ring didn’t fit - it was too small. But Mark wasn’t done with the surprises! He said "Oh the ring doesn't fit?" and Jessica said "No, it's a little too small - but I don't care, I'm just happy to be engaged to you." Mark then took another ring out from his pocket, the real ring, opened the box, and said "Let's try this ring, instead"… and it was just like the ring she fell in love with in the store, but even more beautiful than she could have ever imagined! Best of all, it fit perfectly! She couldn’t believe her eyes and thought to herself, how did he pull this off? He then told her he had been meeting with Set on and off for two weeks until the ring was just perfect. Jessica was both shocked and impressed and knew that after all that planning, coordinating and stress, she was marrying her l'amour vrai (true love). You’re about to make the biggest purchase of your life, yet wish you could clarify a few questions and clear up a few rumors you have heard about the diamond industry as a whole. Well look no further because we’re debunking some of the common misconceptions in hopes you breathe a sigh of relief. Reality: Considering little to no chemicals are used during diamond mining, (which would otherwise be harmful to the staff’s health), diamond mining is generally less harmful to the environment than other types of mining. Additionally, the orebodies used in mining are vertical not horizontal, ultimately affecting less of the surrounding area. Many companies have established protected habitats adjacent to their operations, often times larger than the mining operation itself. Reality: One of the most popularized myths of all is the issue of conflict diamonds — or “blood diamonds”. During the brutal civil wars in Sierra Leone and Angola in the 1990s, the diamond industry has made great strides given what this time unveiled. Since the introduction of the Kimberley Process (KP) certification scheme and the World Diamond Council (WDC) System of Warranties, more than 99.8% of the world’s diamonds are certified conflict-free, with the support of 81 countries. Today the industry is mostly self-regulated, and various countries have additional layers of government regulation in place. The UK’s Government Diamond Office, for example, works closely with HM Revenue & Customs, the European Commission and civil groups to combat illicit diamonds. Additionally, there are voluntary and self-regulation systems that are effective in maintaining the diamond pipeline. Like most jewelers, we want to ensure our customers have the confidence to know that our source of supply is conflict-free. Additionally, may jewelers subscribe to the Responsible Jewelery Council, De Beers’ Best Practice Principles, and the Signet Responsible Sourcing Protocol. Myth: The diamond industry is a monopoly, owned by De Beers. Reality: The good news is no one company has had controlled the market for decades. This myth dates back to the 1980’s when De Beers did indeed control over 90% of the supply chain and was almost wholly responsible for marketing diamonds, having developed its famous “A Diamond Is Forever” slogan in the 1940s. This also led to the perception that De Beers “invented” the diamond engagement ring, when in fact the first was recorded as early as 1477 by Archduke Maximillian of Austria, who commissioned the very first diamond engagement ring on record for his betrothed, Mary of Burgundy. 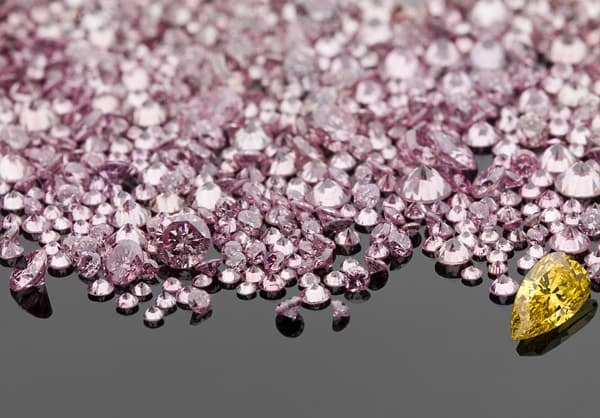 By the 1990s, the market for new mining companies opened, breaking the hold that De Beers and Alrosa had on the industry and ushering in a new wave of diamond discoveries in Angola and Canada, according to Pouroulis. Today De Beers company share of the diamond market is closer to 35%, while five other companies divide the remaining 65% of diamond share. Reality: To first understand why this myth is so false, you must first understand how the mining process works and how much diamond mines actually help strengthen a community. The isolated nature of diamond mines means the workforce lives close by and develops a community spirit, which the diamond industry supports by investing in hospitals, schools, training and bursary programs. For example, 33% of Botswana’s GDP comes from diamond mining, and an estimated five million people globally have access to health care thanks to diamond revenues, according to diamondfacts.org. Today’s mining is not done by hand but is quite automated with miners moving millions of tons of rocks per year. Miners operating large earth loaders in open pits or underground would never even see a diamond. Myth: The diamond industry is secretive and closed to outsiders and not to be trusted. Reality: This myth simply stems from a place of fear. The high-value nature of diamonds may be to blame for the presumption that the industry is filled with inaccessible people and organizations, more comfortable with secrecy than transparency. The reality is there is a whole spectrum of hard-working people all at different levels of financial success. Just like any business, success in the diamond industry is all dependent on how a business has been built. It’s not uncommon for society to expect to see businesses reporting on their social activities, financials and stakeholders to increase transparency and trust. This shift in societal expectation has created major changes in the diamond sector for the better - more transparency and more trust. You might also be pleased to know that diamond retailers such as De Beers are not sitting on stockpiles of diamonds nowadays, but instead build up inventory before making a sale as any retailer would. Have a question that wasn’t addressed above? Leave us a comment below!